What a truly beautiful day. I found myself being quite envious actually. Michael and Tiffany have the most adorable little girl and it was so special that she was a part of her mom and dad’s wedding. I started to wish I had had my own kids there at my wedding. :) But then again, poopy diapers and a white dress? Good job Tiffany on making it through so clean! The wedding was perfect. 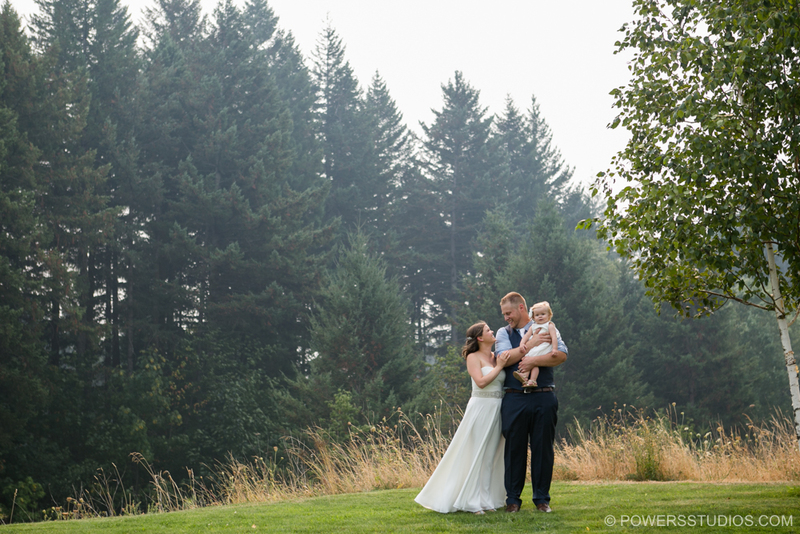 Small group of close family, the best flower girl to ever exist, some wildfire smoke to make the weather memorable, custom built lawn games by the ever-crafty groom — the list goes on! Congratulations, you two! Err, three!